2018 was an unexpectedly exciting year for me, musically. The most interesting part is how impactful these discoveries were, and how serendipitously they came into my life. The year was already pretty rough thanks to a certain Cheeto-colored man-child and his tornado of deplorables, but some personal stuff also went down during the spring & summer that was especially difficult. That’s undoubtedly the reason why Andrew W.K.’s latest album You’re Not Alone resonated so deeply and so immediately. 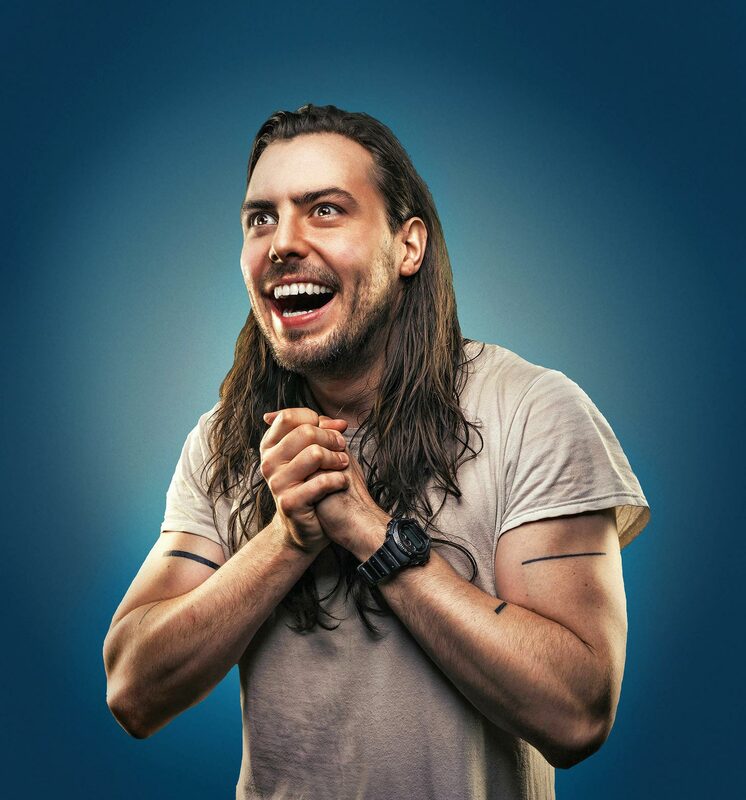 For those not familiar with Andrew W.K., you may still faintly recall him as the white-clothed, dirty, sweaty, bloody, headbanging “Party Hard” guy. That’s certainly how I remembered him. I had listened to “Party Hard” many times over the years; it’s fun, it’s primal, it’s loud, it’s aggressive, it’s… really good. That’s undoubtedly why Spotify surfaced the new album to me. If you ever feel like something is very, very wrong — wrong with life, wrong with yourself — I understand. I have that feeling too. But in actuality, that feeling isn’t wrong. That feeling is just being human. That intense feeling inside is the feeling of existing, of being alive, of being a person. It’s a mountain to climb, it’s a test to pass, it’s a challenge we are ultimately worthy of. And rather than dread or resent this challenge, we can embrace it, we can learn from it, and we can celebrate it. Life is very intense, but that doesn’t mean it’s bad. Understanding this is what partying is all about. It’s corny as hell, but I still get goosebumps reading that. It’s been my emotional response all along, and the feeling that helped me get through that summer. But as good as it felt, my first logical impulse upon hearing these positive messages was that he couldn’t possibly be serious. This was some kind of act. It was cheesy and overblown and dramatic, and there had to be a catch. And maybe there is some element of meme, or showmanship, or whatever. There are really dissonant combinations that make it easy to question the authenticity of the message: this intense, muscled, heavy metal man with the most sensitive of thoughts; this huge, loud music paired with encouraging, persevering lyrics. I think that’s what makes Andrew W.K. so interesting. What definitely exists in these words & music is sincerity. I spent a fair amount of time on Youtube watching Andrew W.K. interviews, and it became clear to me that in contrast to his cartoonish, goofy, and sort of caveman stage persona, he is completely sincere about making music that lifts people up and brings them joy. Andrew’s made a ton of music, and it’s all worth checking out. You should also take a look at his weather report and guest appearance on FOX News. You will laugh, I promise. 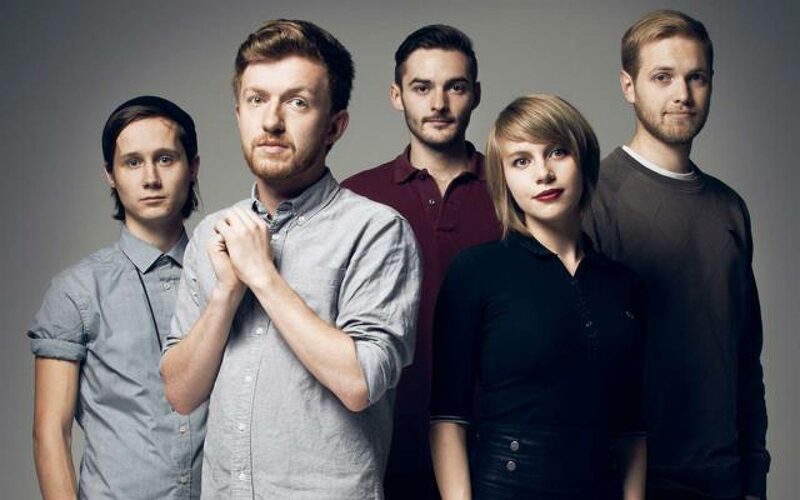 Rolo Tomassi came onto my radar late in the year thanks to a Last.fm recommendation. I almost didn’t bite. I mean, look at those young twee faces. I figured I was about to take the on-ramp to Polite Indie Rock Town and fall asleep at the wheel. I should have learned my lesson by now and stopped judging bands by appearances. However, I was sufficiently intrigued by the latest album’s title — Time Will Die and Love Will Bury It — and the album artwork to give it a go. The album starts out with the tranquil instrumental “Towards Dawn”, with its loopy blips, mellow keyboard, and breathy chorals. OK, cool, I think. I like blippy music. Then the second track, “Aftermath”, kicks in — a nice mid-tempo indie rock song with shimmery guitars and pretty soprano vocals. I actually like this song, I think. I’m glad I took a chance on this. I settle in to enjoy some nice melodic background music while I work. As the second track nears its end it begins to get epic as the guitars and drums get louder and layered with some keyboard. I’m liking this part a lot. Another fine decision, Jared! “Aftermath” ends and the fading guitars give way to a pecking, ominous, and disconcerting keyboard riff leading into to the next song, “Rituals”, that makes me stop working and perk up. Something is definitely happening here. Then, unexpectedly, the keyboard slams into a grinding wall of slow & heavy drums and guitar, which builds and then breaks into a frenzy. The screamed vocals definitely caught me off guard. This was probably the most genre-defying trio of songs from the same artist that I’ve ever heard. If you’d played them for me in a mixtape, I would have thought they were 3 different bands. What a journey. And screamed vocals. You’ll want to brace yourself for that part. I haven’t branched out to many other mathcore bands yet, but Rolo Tomassi are apparently somewhat of a maverick in the genre, mixing in styles that don’t normally belong there (Exhibit A: those first two songs). Regardless, that definition of mathcore is pretty spot-on in describing this band. It is primarily very heavy music with aggressive vocals. The “rhythmically complex dissonant riffs and abrupt tempo changes” are brain candy; I can’t seem to get enough. I’ve also been listening to Rolo Tomassi’s Grievances album, whose opening track is the antithesis of Time Will Die and Love Will Bury It — an immediate, blistering assault of drums, guitar, and dual screamed vocals. I have a feeling that this kind of music is a visceral love/hate choice for most people, but I love it. It’ll get your blood pumping. I’ve been a longtime fan of Metric and have written about their albums and shows at length. They’ve changed a lot over the years — as all artists should — and as a result there was a time when I just didn’t really connect with what they were putting out. Synthetica held a bit of my attention, but Pagans in Vegas lost me entirely. So it was a pleasant surprise that I found out from a friend on Twitter that a new Metric album had come out, and — even more — that I liked it! Watching Metric grow has been like watching more and more clay being added to the armature of a beautiful sculpture. In the beginning, the music was sparse and angular, but wholly enjoyable. Each album added a bit more substance, even as certain styles changed. Not all of those shifts agreed with me, but they are there, and they are important. To me, The Art of Doubt adds more shape to what I think was probably the most polished, pleasing Metric album: Fantasies. In terms of songwriting, arrangement, recording, and production it’s probably the best the band has ever sounded. I love many of the other albums for different reasons, but that’s why I love it most. The Art of Doubt achieves some of the most gorgeous melodies, catchiest hooks, and stellar production of any Metric album and tempts to supplant Fantasies. I mean, the chord changes on “Risk” are just the most devastatingly beautiful Metric-y thing ever, only possibly outdone by the chorus of “Underline the Black”, with which I am hopelessly obsessed. All “the blogs” are saying that this is Metric’s return to classic form after some experimental back alleys, and I have to concur. It’s not a throwback or a comeback, but more of a return to a brighter timeline. After not being able to say this for quite some time, it’s nice to say that I’m excited to see them play in a few weeks. I hope they play “Risk”.